Mujadil colt ex Miss Shaan and Janine before going into the ring. 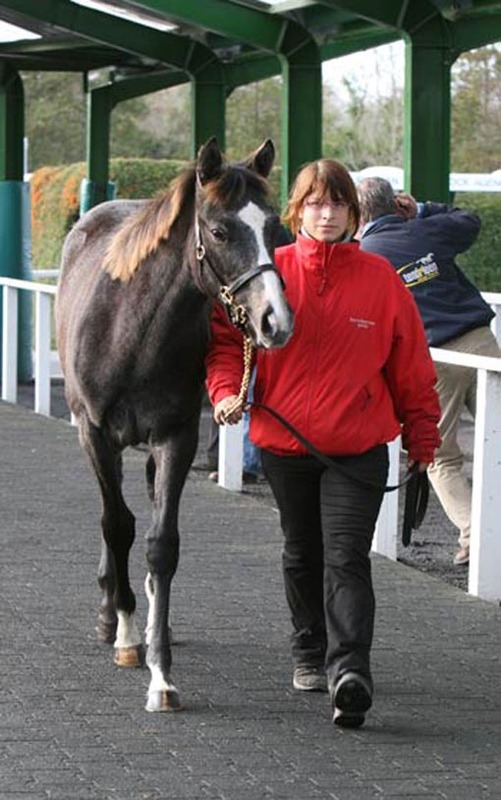 In a very difficult and recession-hit market where figures were down 50% on last year\'s sales, we consigned our foals for the first time under Swordlestown Little. This was a babtism of fire, but we emerged with excellent results as above Racing Post Summary shows. The star of of our group of foals was undoubtedly Damien\'s half brother by Mujadil. 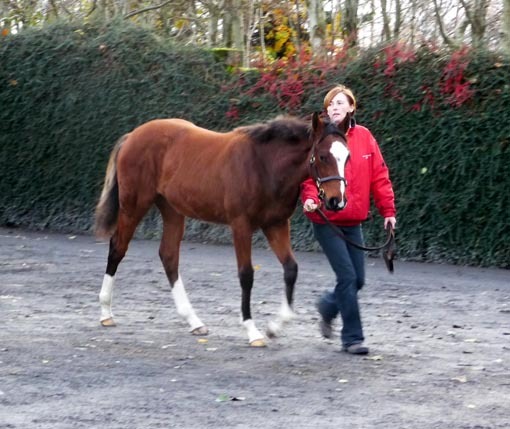 This colt had many admirers and was in and out of the box countless times. He dealt with the demanding sales activities very professionally and nothing phased or worried him. The successful purchaser was Anthony Phelan, who was advised by his brother-in-law, Seamus Burns (breeder of New Approach, this year\'s Epsom Derby winner). 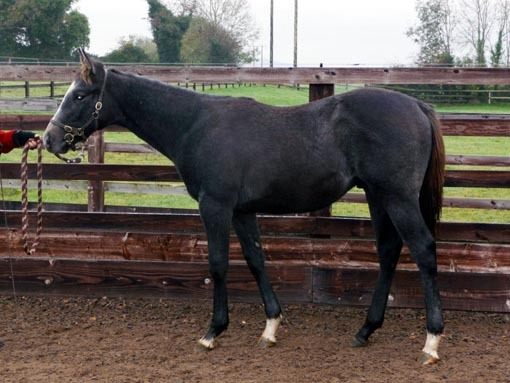 Our Oratorio colt out of Third Dimension also had many admirers and was eventully bought by Ireland\'s most successful pinhooking operation, O\'Callaghans of Yeomanstown Stud. 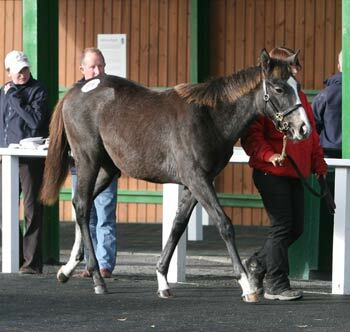 Hopefully the foals continue to thrive and bring profit to those buyers next year. They certainly could not be in more professional hands! Mujadil colt at home before the sales. Our sincere thanks go the the hard-working sales team of Janine and Deirdre (pictured above) but also to Laura, who kept things going at home. 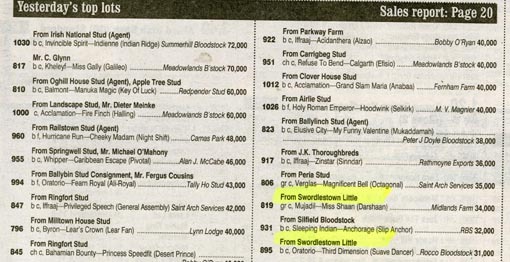 We would also like to thank John O\'Connor of Ballylinch Stud and Jaqueline Norris of Jockey Hall for their help and moral support before and during the sales!